Still a cool dvd ..... wish some of the sotries from your carrer were to be a crashed DVD autobiography. Dvd 2 documents the sad demise of Dave Lepard and the introduction of Ollie (Reckless Love fame) who would - if only for a short time would be Dave's successor. The subsequent follow album produced several hit smashes of which are not to be ignored and are typical sleaze anthems in their own right. 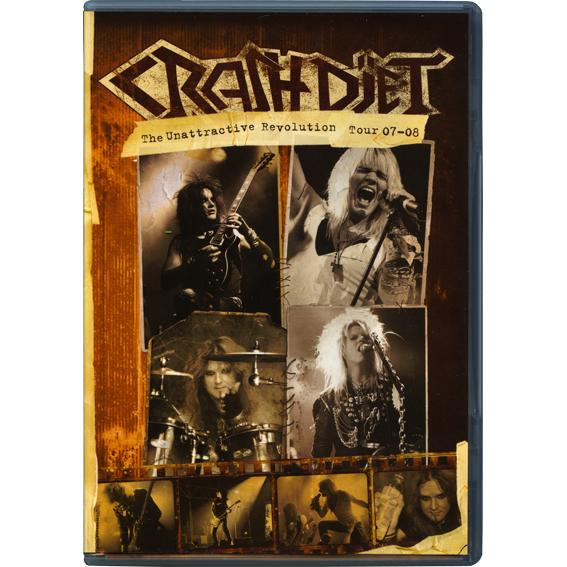 A successful tour is documented though this union was not to last which is explored and documented in the Shattered Glass dvd...go by all 3 and complete your Crashdiet history!! See all 27 customer reviews.